A hard-fought win against a dogged Sale side, that battled hard, despite being down to 14 men for all of the second half. Stortford totally dominated the first half hour of this vital home game but were unable to break through a strong and committed Sale defence for almost half an hour. A number of penalties were conceded in keeping their line intact and Stortford settled for putting 3 points on the board through Tom Banks’ boot from one of these offences, with quarter of an hour gone. The home side was soon back on the front foot, but again found it hard to prise open the stubborn Sale defence. Almost inevitably, though a gap was eventually found, when, after 28 minutes a piece of improvisation by Coke Gearing Man of the Match, James Apperley caught the opposition momentarily off guard. The tall flanker showed impressive ball skill in flicking up a loose pass with his boot into his hands almost without breaking stride and then beat the first defender, bursting through some 35 metres out and using Joss Linney on the outside as a foil to dummy past the next potential tackler, before outstripping the cover defence to score a great individual try. 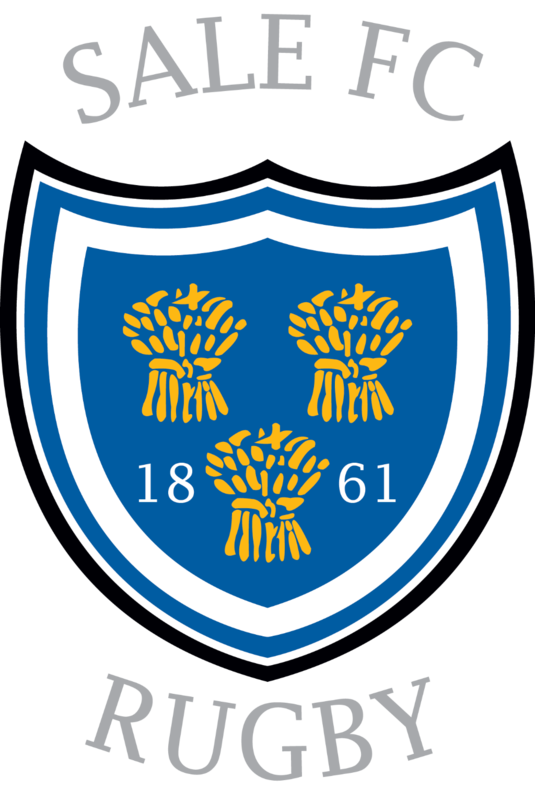 Banks’ conversion took Stortford out into a 10 point lead, but Sale now, aided by a couple of loose penalties conceded by Stortford, launched their first threatening attack of the game and clinically finished it from a driving maul from a lineout some 7 metres out, with prop, Simon Griffiths touching down for an unconverted try after 34 minutes. Drama remained before halftime, though, as the visitors looked to build upon their score, breaking again into the Stortford half. This time, though, their centre, Connor Doherty incurred the officials’ severe displeasure with a dangerous clear out of an opponent at a ruck, for which he was shown a red card immediately before the break. Sale obviously hatched a plan over halftime to deprive the opposition of the ball and they were able to implement this with impressive efficiency for the first 15 minutes of the second period. They were so successful, in fact, that, within 2 minutes of the restart, they had taken the lead with a try to their other prop, Daniel Birchall, after a series of powerful drives by his fellow forwards, from another lineout in the Stortford 22, arising again from an unforced penalty conceded by the home side in midfield. Scrumhalf, Matt Bradley converted for a two point lead. Stortford’s frustrations at being deprived of the ball were further increased, when Bradley kicked a penalty goal 14 minutes into the half after the home pack, previously edging the set pieces, was penalised at a scrum. At this point, though, Stortford began to win some ball and within 8 minutes had levelled the score through a try out wide to Rob Duff. The position had been won from an excellent break through the centre by George Keen, with the Sale defence being stretched to breaking point virtually on their own line. Recognising this, flanker, Andy Hughes cynically killed the ball, receiving a yellow card for his pains. Stortford opted for a scrum and quick ball down the line was all that was needed to see Duff over. The conversion attempt into the breeze fell just short. Sale showed their continuing determination by keeping their line intact for the remainder of the sin-bin period, but almost immediately afterwards conceded another try after a great lineout steal by Apperley and a powerful run by Joss Linney, cutting in from his wing some 40 metres out to break a couple of tackles, but again he was stopped just short of the line. This time the ball was quickly recycled, and George Cullen was on hand to crash over under the posts, giving Banks an easy extra two points. Stortford tails were now up, and it was Nick Hankins’s turn to be the provider 4 minutes later, when he fielded a kind bounce from a clever chip kick in midfield by Cullen. He almost made the line himself, but quick ball again from the breakdown found Jack Scantlebury piling through to touch down close to the posts for the crucial bonus point try. Banks rounded off the scoring with his third conversion. Credit has to go to the Sale side, who battled well throughout, despite being short-handed for half of the game, but with so much having gone against Stortford in the season to date, this was a crucial win and one that was well deserved by a team that overall posed a much wider range of attacking threats than the visitors.